The GANT Beacons Project is a new line of shirts with Tech Prep™ containing upcycled plastic salvaged from the ocean. Having been founded on the East Coast of America in 1949, GANT has a strong connection to maritime living. This heritage and passion to maintain the oceans for generations to come has led to the launch of GANT Beacons Project, starting with shirts with Tech Prep™ containing upcycled plastic in SS18. For this initiative GANT is partnering with SEAQUAL™, a unique ingredient fiber brand that upcycles plastics collected from the sea to make a polyester filament that is used in the new GANT shirts with Tech Prep™. GANT Beacons Project builds on GANT’s vision for sustainability and its commitment to creating timeless products with excellent style and quality that can last a lifetime. 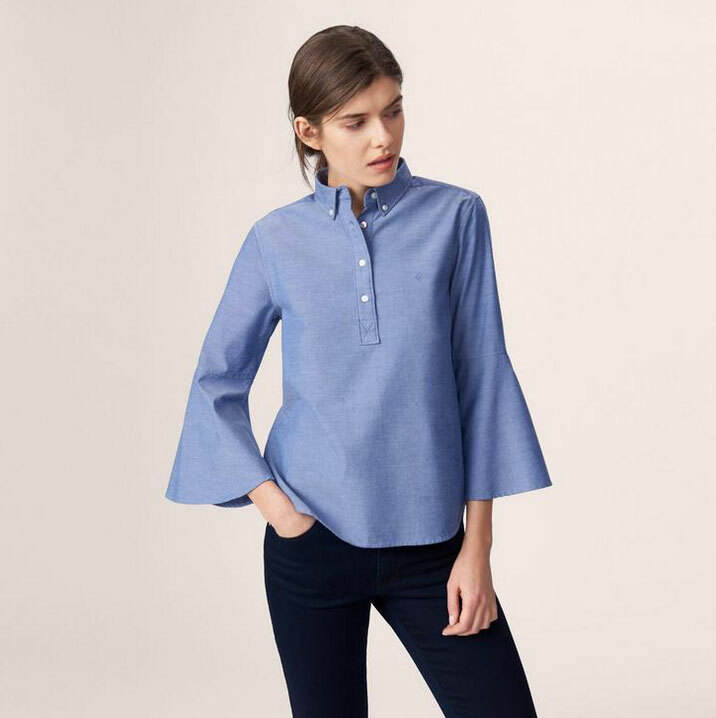 The new shirts for men and women with Tech Prep™ containing upcycled plastic from the ocean, is part of GANT Beacons Project for Spring/Summer 2018. The shirts will feature stretch, breathable and wicking properties, as well as buttons and packaging made from recycled materials, and will be available for purchase in-store and online at GANT.com from April 3, 2018. Gant’s Beacon’s Project line is available for purchase starting today in stores and online.